Since 1985, Christopher F. Fleming has been licensed in the State of Florida and engaged in the leasing, managing, brokerage, land assemblage and development of commercial property in the State of Florida. Mr. Fleming uses a comprehensive approach that is informed by his constant monitoring of market trends and conditions, pertinent planning and zoning issues, as well as local, regional, and national governmental issues affecting the commercial real estate industry. 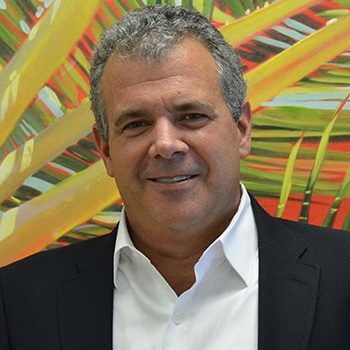 His longevity in the Florida commercial real estate market is a result of this thoughtful and diligent approach to commercial real estate brokerage. managing large tracts of real estate, including golf course developments, for various institutional owners throughout Florida. In 1993, 1994, 1995 and 2001, Mr. Fleming was awarded the Top Listing Agent; he was Agent of the Year in 1997 and 2002; and he was Top Sales Agent in 1998 and 1999. Mr. Fleming is an active member of his community. He has been appointed to the City of Lake Worth Community Redevelopment Agency for four straight terms and served as Chairman during his last two terms until his term expired in July 2004. Mr. Fleming was also a founding board member and served as chairman of Turtle Nest Village, a charitable organization serving youths 18-21 years old coming out of foster care. In February 2012, Mr. Fleming was appointed by the Palm Beach County Commission to the Westgate – Belvedere Homes CRA Board. Mr. Fleming resides in Lantana, Florida and is constantly in motion keeping up with his teenager, Christopher “Tyler” Fleming.